Well, that didn't take long. One day after CultureMap reported that the H-Town Restaurant Group owned by chef Hugo Ortega and restaurateur Tracy Vaught had plans to open a restaurant called Xochi in downtown Houston's upcoming Marriott Marquis hotel, the Houston First Corporation revealed the range of its plans to bring four new restaurants to the George R. Brown Convention Center and six total dining concepts to the Marquis. 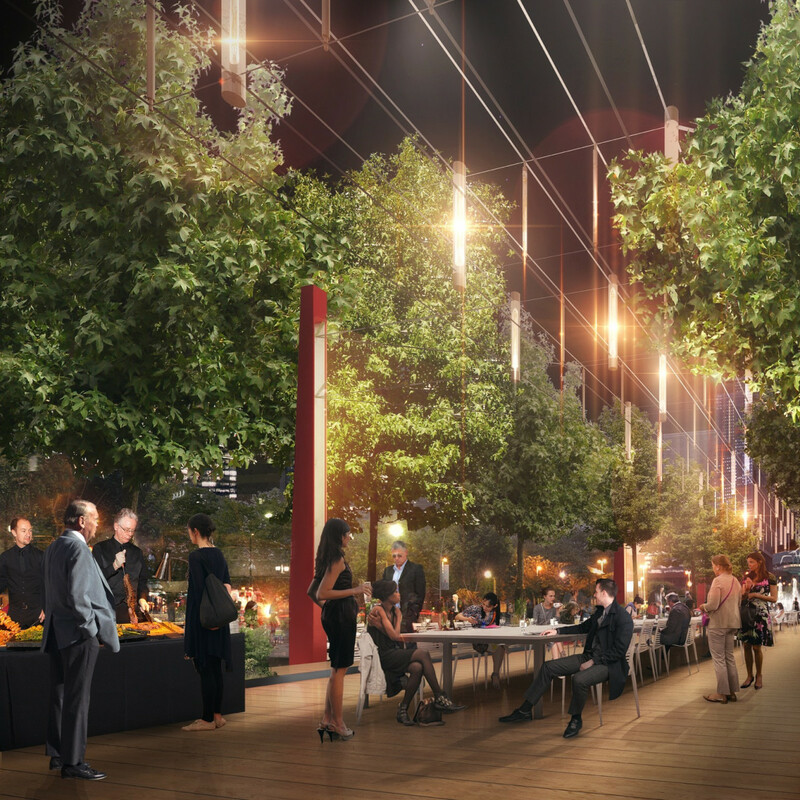 Dubbed Avenida Houston, the new restaurants are part of an effort to transform the area around Discovery Green — including the convention center, Minute Maid Park, Toyota Center, BBVA Compass stadium, the Marriott Marquis, and the Hilton Americas hotel — into a tourist destination with a walkable plaza that will also feature art installations and events. The timing for the specific openings hasn't been finalized, but all will be open in time for Super Bowl LI. 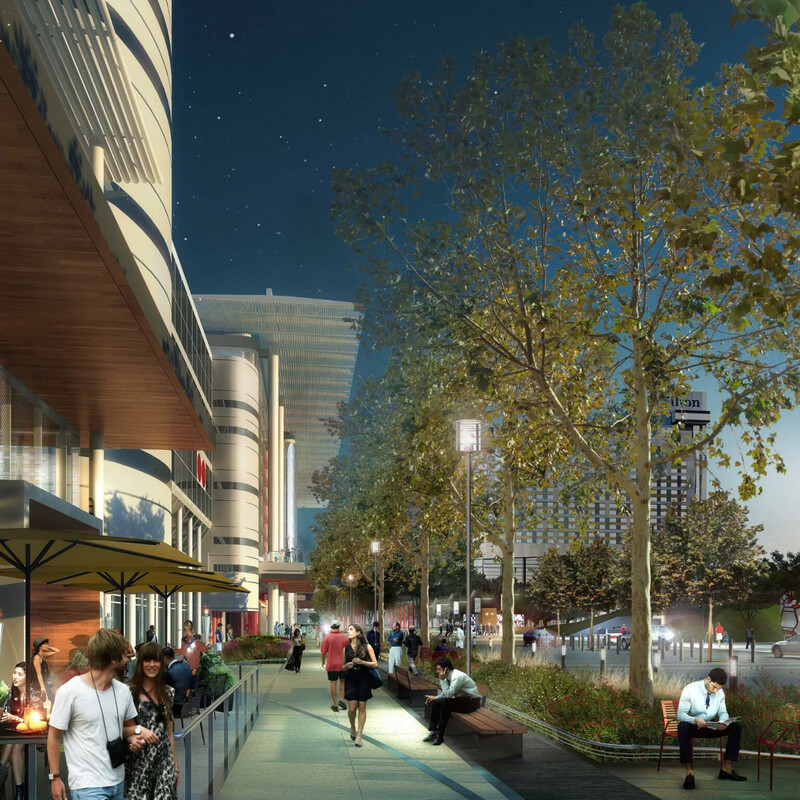 “With these new openings at the GRB and the broader convention district, we will have a concentration of restaurants in the heart of downtown that I hope will better serve both residents and visitors and function as a catalyst for even more development in the area,” said Houston Mayor Sylvester Turner in a statement. Most importantly for Houston diners, the announcement confirms Ortega and Vaught's decision to open a restaurant called Xochi at the Marquis. Whereas Caracol serves coastal Mexican cuisine and Hugo's features regional Mexican dishes, Xochi, which means "to bloom or catch fire," will be "a creative endeavor" that allows chefs Hugo and Ruben Ortega and beverage director Sean Beck to use their "amazing creativity (to) guide the food and drink." B&B, the hotel's "signature restaurant (that) will be open for breakfast, lunch, and dinner serving Texas countryside-inspired fare with a healthy twist;"
High Dive, a New American restaurant set on the hotel's terrace that will primarily cater to guests enjoying the massive, Texas-shaped swimming pool. 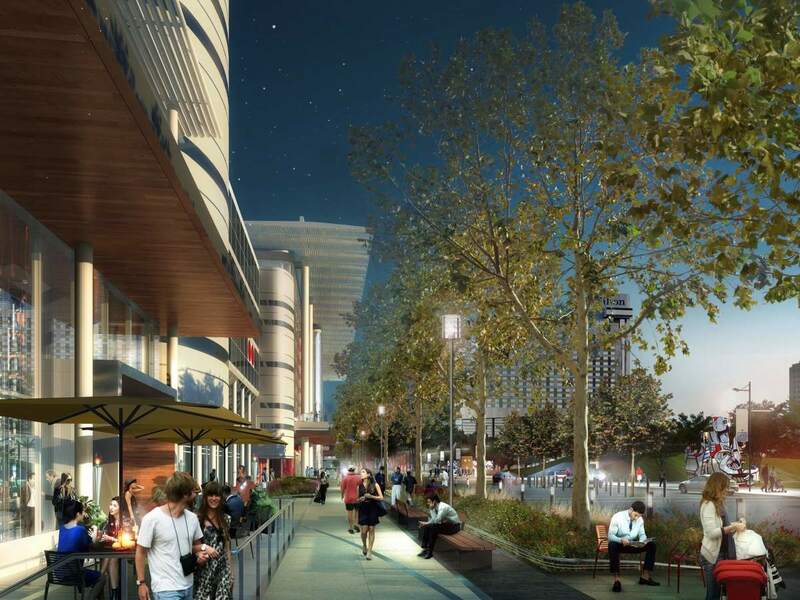 All of these join Biggio's, the previously announced sports bar that will feature the Houston Astros Hall of Famer. 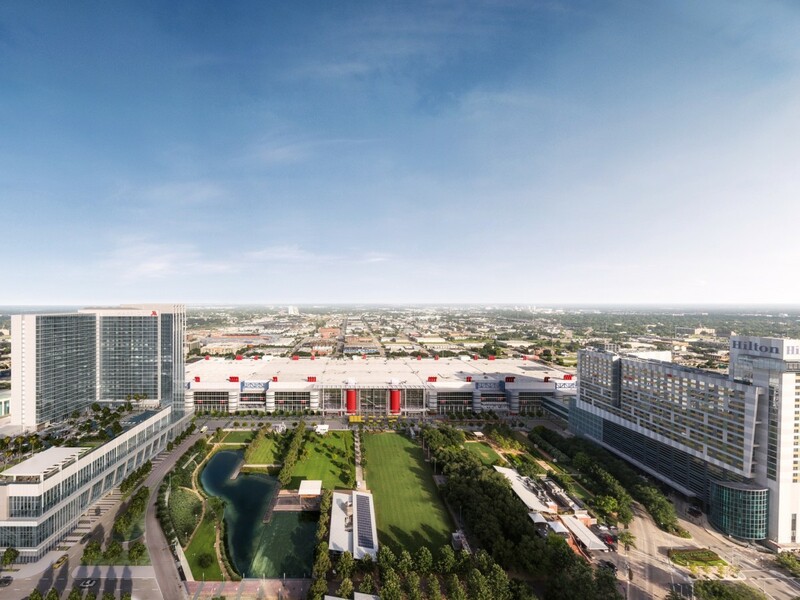 Turning to the George R. Brown, the most prominent new restaurant will be a downtown location of Italian restaurant Grotto, the Landry's Signature Group restaurant originally founded by legendary Houston restaurateur Tony Vallone and purchased by Tilman Fertitta's company in 2003. 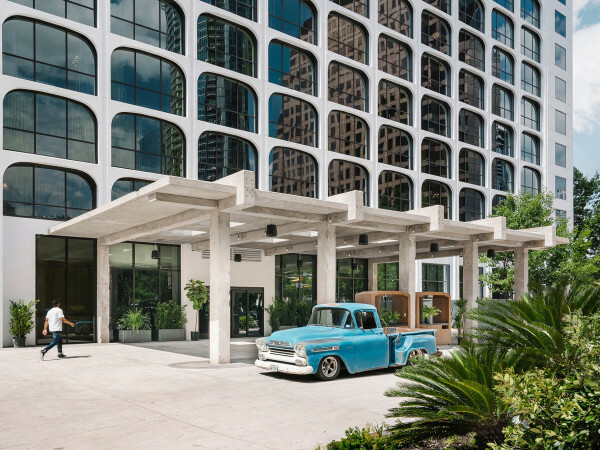 Grotto will feature signature dishes like Neapolitan-style pizzas and housemade pastas, as well as new items like "one of the largest Grappa collections in downtown Houston" and communal seating. Tex-Mex is already covered by the Pappasito's Cantina at the Hilton, but Houston First wanted barbecue, too. Bud's Pitmaster BBQ features the mysterious "Bud," described as someone "with over 30 years of experience in the restaurant industry . . . (who) will bring to Houston a Southern-styled BBQ restaurant with modern flare." 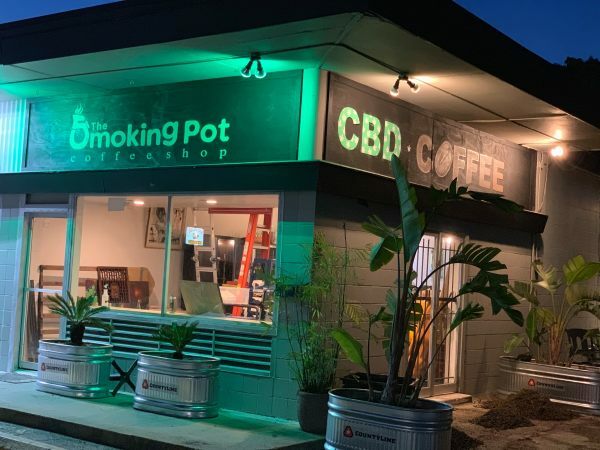 Set to compete with recent additions Jackson Street BBQ and Pappa Charlies Barbeque, the restaurant will have an on-site smokehouse, "an upscale and contemporary atmosphere," and be open for both lunch and dinner. 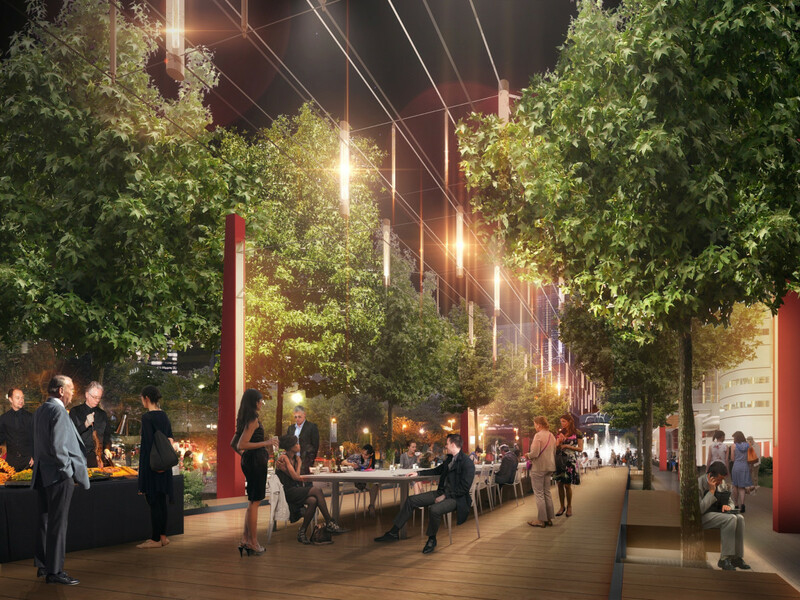 In addition to Vaught, Ortega, and Fertitta, one other acclaimed Houston restaurateur is coming to the Avenida. The Breakfast Klub owner Marcus Davis will open Kulture at the George R. Brown. Houston First describes the restaurant as an "exploration of the cultural contributions of the diaspora from the continent of Africa thru the Caribbean to the southern U.S. Coast and expresses its findings thru food, spirits, art and music in a casually elevated yet comfortable dining experience." 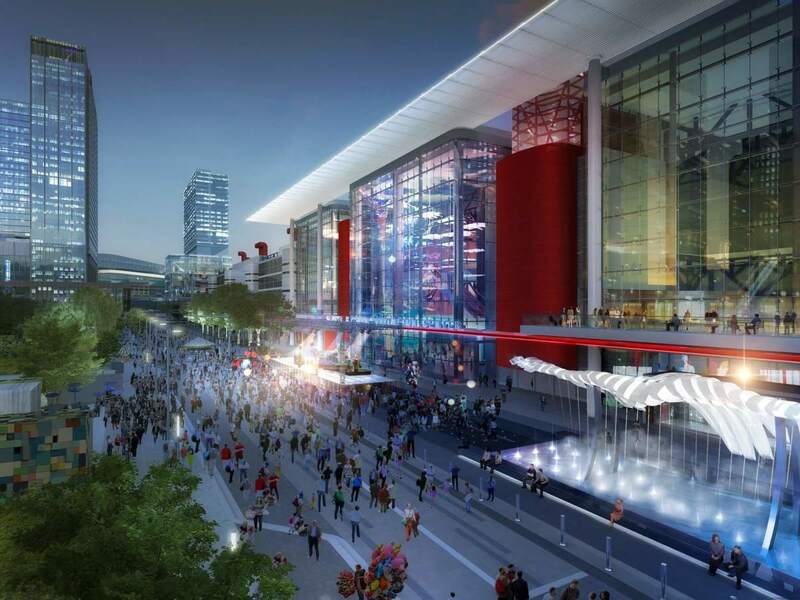 McAlister's Deli will be the fourth new addition to the convention center. The fast-casual chain known for its salads, sandwiches, and sweet tea has over 350 locations in 28 states. 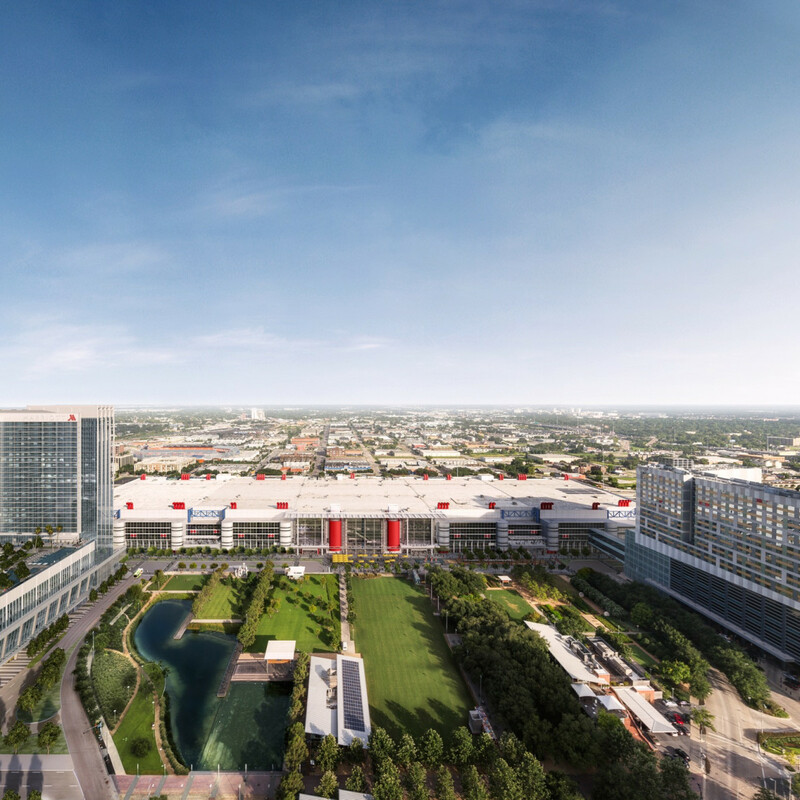 "The creation of Avenida Houston will be a long-awaited vision come to fruition for our city and Houston First," added Dawn Ullrich, president and CEO of Houston First Corporation. 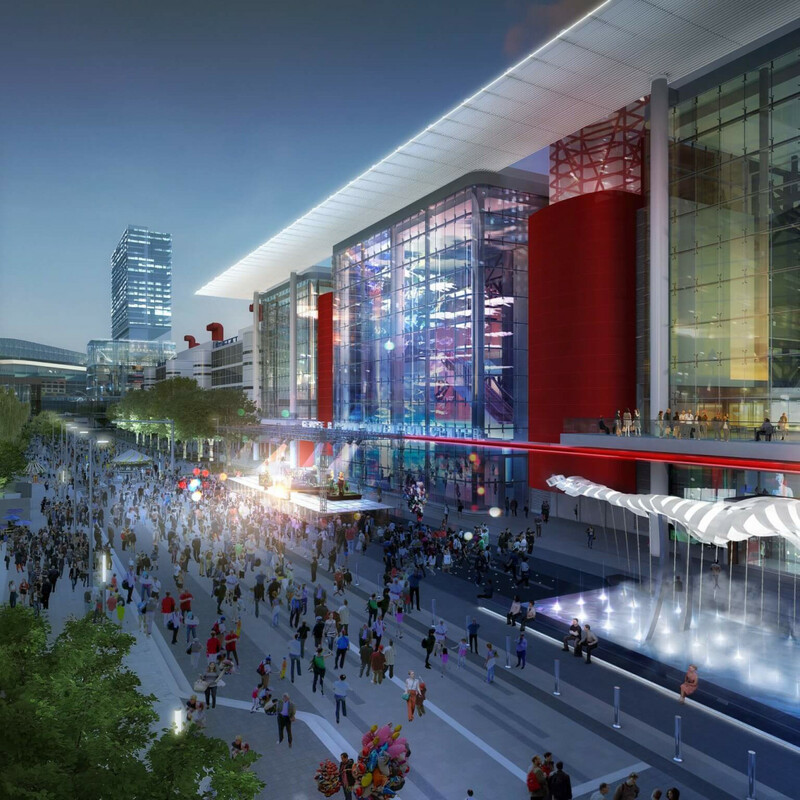 "Often, the GRB and convention district are the only glimpse of Houston that visitors receive and we hope to leave them with a lasting, positive impression and encouraged to return."